Jose Reyes is not the former Mets shortstop that should be suiting up for the Colorado Rockies come Opening Day. Just as Ruben Tejada replaced Reyes in Queens, NY, the Rockies have an opportunity to do the same with Tejada on April 4 against the Diamondbacks after he cleared waivers on Wednesday. Tejada can be a key piece to the Rockies rebuilding effort. 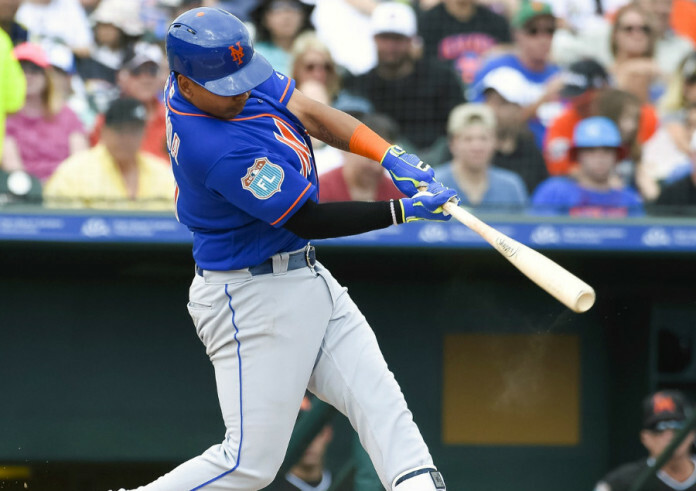 By cutting Tejada before Opening day, the Mets must pay close to $500,00 of the $3 million he’s due in 2016. The move by the Mets came as a bit of a surprise, given Asdrubal Cabrera may be hitting the DL for the rest of Spring Training. Normally, signing a serviceable starting shortstop doesn’t come cheap, especially when you’re talking about a 26-year-old like Tejada. If the Rockies want to shore up their shortstop position, this seems to be the move. Tejada reported to Spring Training healthy after fracturing his lower leg in the National League Divison Series last year against the Dodgers, and while Tejada’s lifetime slash line of .255/.330/.323 is not much to blink at, but his solid glove is the most important asset behind the Rockies’ young pitching. Replacing Reyes goes beyond suspension and alleged inexcusable conduct off the field, though. Reyes did not play well in his 47 games in Denver. He had a -0.2 WAR and a dWAR of .3, which are both the worst totals of his career. Not to mention, he was making a career high $22 million last year. Reyes is by far the highest player on the team; his closest teammate, Carlos Gonzalez, is set to make over $16 million this year. In fairness, acquiring Reyes was never about replacing Tulo, but he’s already expressed his dissatisfaction playing for a non-contender, which is exactly what the Rockies seem to be. Right now, Colorado needs to make a decision whether they are a competing club or one in rebuilding mode. They are spending far too much for consistently finishing in fourth or fifth place. By getting the best value for Reyes, even if that means cutting him, and replacing him with Tejada, the team has an opportunity to save money and build for future success. This all while developing 2011 first-round draft pick Trevor Story. By all indications Story should be the starting shortstop at some point in 2016. He leads the team in spring with four home runs and is batting .350 with a .458 OBP. Cristhian Adames, the other competing option at short is playing well, batting .273 in Arizona. The future is exciting for the Rockies infield. Story faces a similar scenario to what Kris Bryant, the third baseman of the Cubs, did in 2015. 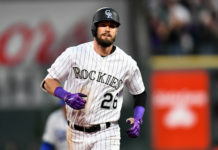 If Story is promoted to the Majors on Opening Day, he will be able to enter free agency after six years with the Rockies. If the club waits three weeks to promote him, they will essentially get another year of play from the shortstop. 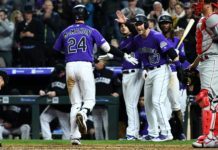 Not to compare the ability of the players, the difference between Bryant and Story is that the 2015 Cubs were expected to compete for the playoffs, much to the contrary of the 2016 Rockies. The club needs to compete for 2019 and beyond. Not 2016. The Astros and Cubs committed to low payrolls to develop from within. Tejada is a solid defensive solution to help this team develop its excellent farm system while modeling both the 2015 AL and NL Wild Card winners. This is the Rockies time to capitalize on the Mets curious move and sign a young, experienced and relatively inexpensive option at short. Just make it happen before the Cardinals inevitably sign him to fill in for Jhonny Peralta. The Cardinals don’t need any more help.